OMAHA, Neb.–(BUSINESS WIRE)–No more shivering in the cold at the Omaha airport wishing the hotel shuttle would arrive. Scarlett Hotel Group, owner and manager of the Marriott Fairfield Inn & Suites Omaha Downtown in Nebraska, today announced the shuttering of its airport shuttle service, replacing it with a pioneering program with Uber Central, part of Uber for Business, to offer guests free transportation to and from Eppley Airfield. The Scarlett Hotel Group and Uber partnership is characteristic of the hotel management company’s fresh approach to hotel management. “Uber Central gives the hospitality industry a great way to provide guests with an enhanced experience during their stay,” said Mary Fairchild, Head of West Coast, Uber for Business. “We’re excited to see leading companies like Scarlett Hotel Group partner with Uber for Business for seamless, reliable guest transportation,” she continued. With Uber Central, guests do not have to contact Uber or use the Uber app on their phones to take advantage of the amenity. When they arrive at the airport, guests will contact the Marriott Fairfield Inn & Suites Omaha Downtown. The staff member at the front desk will arrange for a personal ride for the guest via the Uber Central dashboard, and the guest automatically receives a text containing the wait time along with the driver’s name, car make and model and license plate. The hotel staff member will track each guest’s ride to the hotel, and greet and attend to them individually as soon as they arrive. For the Marriott Fairfield Inn & Suites Downtown Omaha, using Uber Central not only provides complimentary, on-demand transportation for guests, it also allows the hotel to save costs on transportation. Providing a personal Uber ride to each guest is more efficient than the ongoing cost of maintaining a hotel-operated shuttle and the staff members to drive it. The hotel receives a single invoice from Uber Central, making it easy to track and pay for transportation costs. Overall, the hotel expects to save 40 to 50 percent in hotel transportation costs. 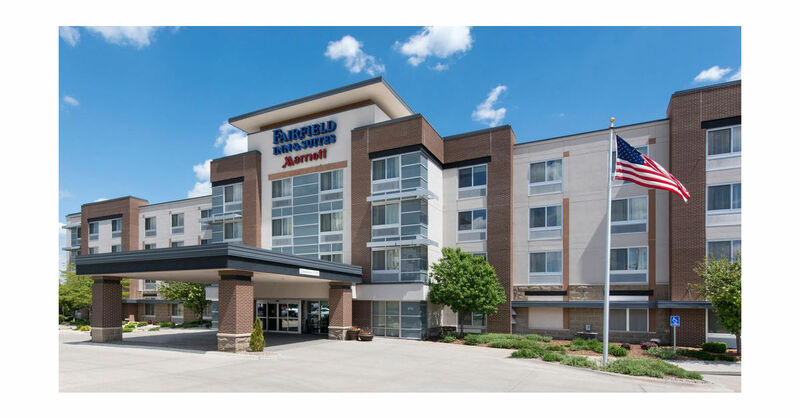 Located at 1501 Nicholas Street in Omaha, Nebraska, the Marriott Fairfield Inn & Suites Downtown Omaha was recently acquired by Scarlett Hotel Group. The custom-built, 113-room hotel is near the TD Ameritrade Stadium, CenturyLink Convention Center and Arena, Old Market Historic District and Creighton University, and within walking distance of Downtown Omaha’s numerous dining and shopping options. The hotel recently completed a multi-million renovation that upgraded all public spaces, including a completely revamped lobby and guest rooms. More information and reservations can be made by visiting www.marriott.com or calling (402) 280-1516. With offices in Chicago and Nashville, Scarlett Hotel Group (SHG) was founded by hotel industry veterans Andrew Scarlett, Rob Sadoff and Zio Pekovic. The company focuses on acquisitions, hotel management, sales and marketing support, F&B management and asset management, on its own behalf and for third-parties. In addition to the Marriott Fairfield Inn & Suites Downtown Omaha, SHG owns and operates the Hampton Inn & Suites at Sarasota Airport, Residence Inn by Marriott Downtown Clearwater and SpringHill Suites by Marriott Gainesville at the University of Florida.